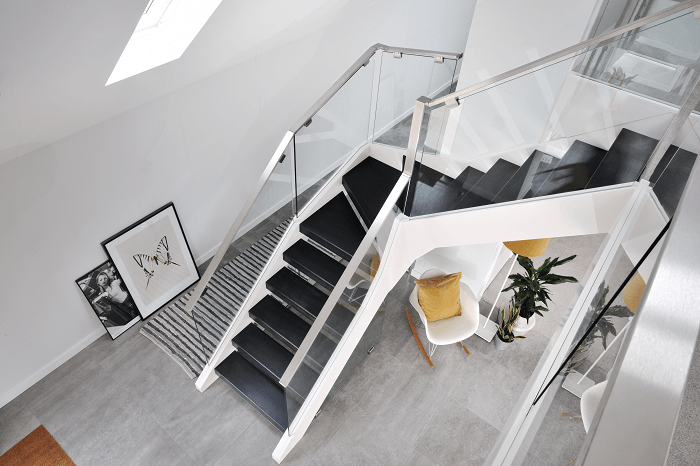 Our latest Customer Story shows how we helped Tony Pinkett create the bespoke staircase he always wanted. When Tony sat down with an architect to design his barn conversion, he made it clear that the building had to be ultra-modern. He didn’t want to keep the beams or have a ‘wooden’ look inside. Tony was trying to move away from the traditional barn interior. 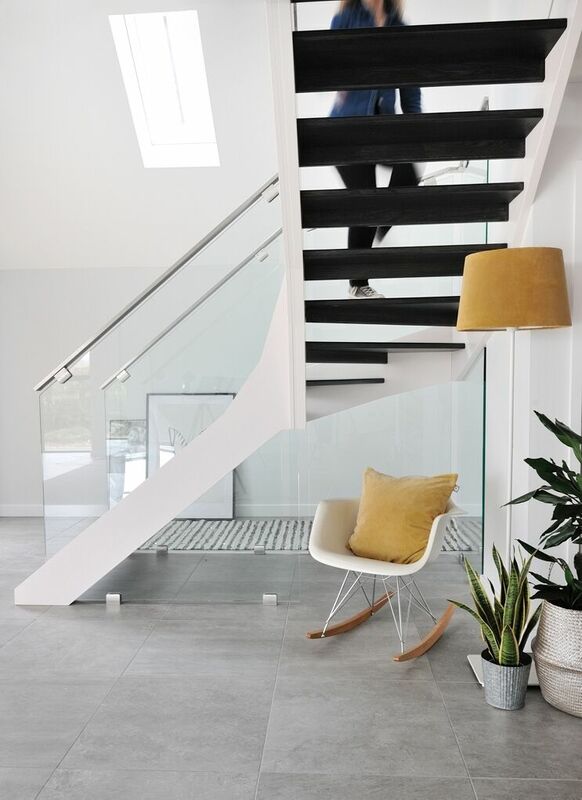 His vision for the new staircase in this ultra-modern barn was a contemporary design with dark-stained oak treads and glass panels. Here’s how we brought his vision to life. Tony’s concept of a building that defied tradition meant steering away from the natural wooden look that is normally found in barn conversions. 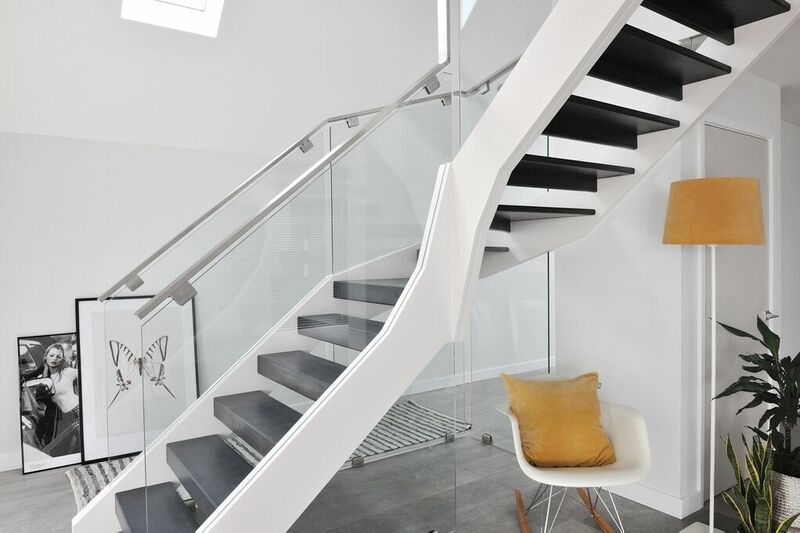 The final design was a super-contemporary ‘floating’ staircase in a combination of dark oak and glass panels. 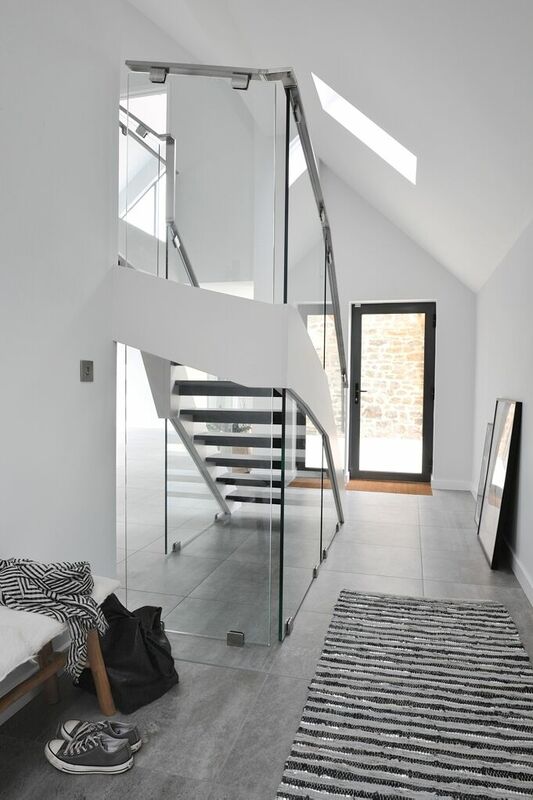 Because the glass has been inset into the staircase frame it eliminates the need for newel posts. This was in keeping with the rest of the barn conversion and further enhanced its simple, modern style. Tony was more than happy with the Jarrods Approach. Tony felt that choosing Jarrods was definitely the right decision. You too can be part of our customer stories, just get in touch with us today.